Dr. Roberta Balstad is a Special Research Scientist at Columbia University and Senior Fellow of the Center for International Earth Science Information Network (CIESIN). She was the founding Editor-in-Chief of Weather, Climate, and Society, a journal of the American Meteorological Society, serving in that role from 2008 to 2013. She currently serves as Chair of the Board of Trustees of the University Corporation for Atmospheric Research (UCAR). She has published on such diverse topics as the role of the social sciences in understanding global environmental change, information technology and scientific research, science policy, and remote sensing applications and policy. 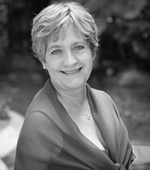 Dr. Balstad received her Ph.D. from the University of Minnesota in 1974. She was a senior fellow at Oxford University in 1991-1992 and a Guest Scholar at the Woodrow Wilson International Center for Scholars in 1994. Dr. Balstad was previously the Director of the Division of Social and Economic Sciences at the National Science Foundation, the founder and first Executive Director of the Consortium of Social Science Associations (COSSA), and President/CEO of CIESIN before it became part of Columbia University.